We offer our congratulations to Keizo Ushio, who is the second artist to become a member of the Double Decade Club for Sculpture by the Sea at Bondi, having exhibited 20 times since 1999. Keizo Ushio is one of Japan’s most highly regarded sculptors and is renowned internationally for his extraordinary granite sculptures. This year the artist exhibits in our Sydney exhibition for the 20th consecutive year. 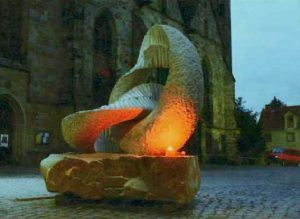 His ingenious carving technique, based on the mathematics of the Moebius strip is extremely difficult to realise in granite, making his work popular with the public and collectors across the world. Ushio has exhibited to international acclaim with his work represented in exhibitions, public locations and private collections in Japan, Spain, Iceland, Norway, Germany, Israel, India, Australia, New Zealand and the USA. Ushio’s work has proved extremely popular with Australian collectors and the public alike since he began exhibiting in Australia at Sculpture by the Sea in 1999. Keizo Ushio is a significant Japanese artist who has enjoyed international success with his spectacular granite sculptures. Celebrated for his ingenious carving technique which is influenced by the mathematics of the Mobius Strip, Keizo has exhibited with Sculpture by the Sea since 1999 and has emerged as one of our most popular artists. Keizo was awarded the Allens Arthur Robinson People’s Choice Prize in Sculpture by the Sea 2001. Since a young age, Keizo has exercised his creative flair and graduated from the Kyoto City University of Arts. It was upon receiving the 1st Henry Moore Grand Prix Exhibition Prize at the Hakone Open Air Museum in 1979 that Keizo developed his signature style of sculpting, while teaching Sculpture at Universities full time until 1993. Sculpting with stone, Keizo produces geometrical forms that consider ideas of space and time, and consequently appear as eternal and monolithic in their own right. Keizo has achieved something of a celebrity status from mathematicians and sculptors alike for his magnificent manipulation of the ‘Mobius Strip’, typically known as a one-sided, one-edged surface, which is notoriously difficult to create with materials of great weight and density. Usually created by cutting a ring-like piece of granite horizontally and then making a 180-degree twist, Keizo extends this further by making a 360-degree twist, thereby creating a sculpture of two equal and interlocking parts (as seen in images 2 & 4) and a 540-degree twist, forming a sculpture of three equal and interlocking parts (as seen in images 3 & 5). 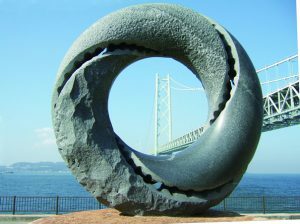 ‘Dream Lens’ 2003, blue granite, 256 cm diameter (circle), pink granite with stain surface, 80 x 300 x 200 cm (base), public commission for Kobe Bridge, 2003. Keizo has exhibited to international acclaim with his work represented in exhibitions, public locations and private collections in Japan, Spain, Iceland, Norway, Germany, Israel, India, Australia, New Zealand and the USA. Keizo’s work has proved extremely popular with Australian collectors and has been sold in every Sculpture by the Sea exhibition since 1999. Sculpture by the Sea Art Services was recently delighted with yet another sale of his work, ‘Twist II’, an indoor sculpture exhibited in Sculpture Inside 2003, sold to a private collector. Keizo Ushio, oushi zokei 2001, Sculpture by the Sea, Bondi 2001. Photo supplied by the artist. Keizo’s work is suited to both indoor and outdoor display and the density and weight of Keizo’s granite sculptures make them ideal in terms of protection from weather and ease of maintenance. 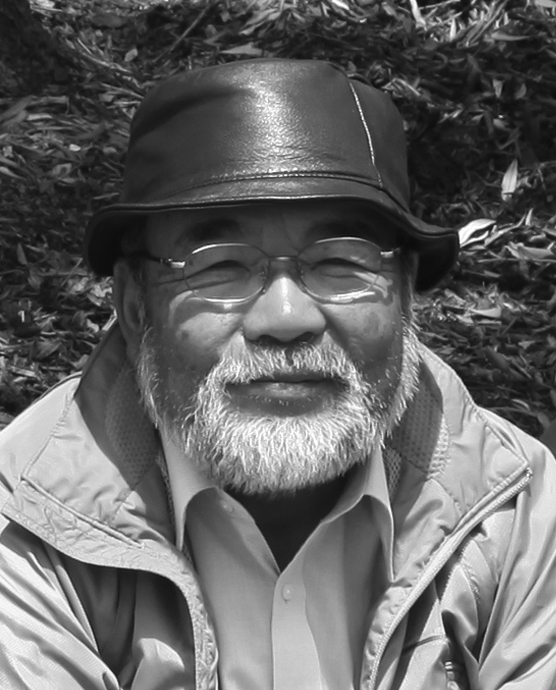 Keizo Ushio lives and works in Japan. He is a significant Japanese sculptor who has achieved international success with his spectacular granite sculptures. 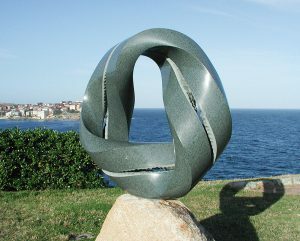 Celebrated for his ingenious carving technique which is influenced by the mathematics of the Mobius Strip, Keizo has been exhibiting in Australia at Sculpture by the Sea exhibitions since 1999. In 1979 he showed a work at the Hakone Open-Air Museum, where he was awarded the 1st Henry Moore Grand Prix Exhibition Prize. With this prize money, he toured through Europe, looking at sculpture. Keizo has achieved something of a celebrity status among mathematicians and sculptors for his magnificent manipulation of the Mobius Strip, typically known as a one-sided, one-edged surface, which is notoriously difficult to create with materials of great weight and density. This reversed loop seems incompatible with the hardness of the stone, but it symbolizes and skillfully expresses the unity of a contrary nature and lies at the core of what makes his work so interesting. Keizo has been producing Mobius sculpture for over twenty-five years. His stone carving is recognized throughout the world for his mastery of the difficult technique of carving intertwining ribbons of stone and three-dimensional circles. Keizo has exhibited to international acclaim around the world, with his work represented at exhibitions, and in public and private collections, in Japan, USA, Mexico, Spain, Iceland, Norway, Germany, Denmark, Sweden, Holland, Israel, India, New Zealand and Australia. In 2006 the artist was invited to Spain, to the International Congress of Mathematicians, to publicly produce a work over a three week period. The market for his works in Australia has grown significantly over the last twenty years, making him a highly sought after and collectible artist. His works are exhibited not only as a public art in spaces such as the Esplanade Station in Perth and London Street in Canberra but also in major private collections including Vasse Felix in Margaret River. Keizo Ushio is an extraordinary sculptor and a wonderful person, whose sculptures (and smile) are loved in many countries around the world. 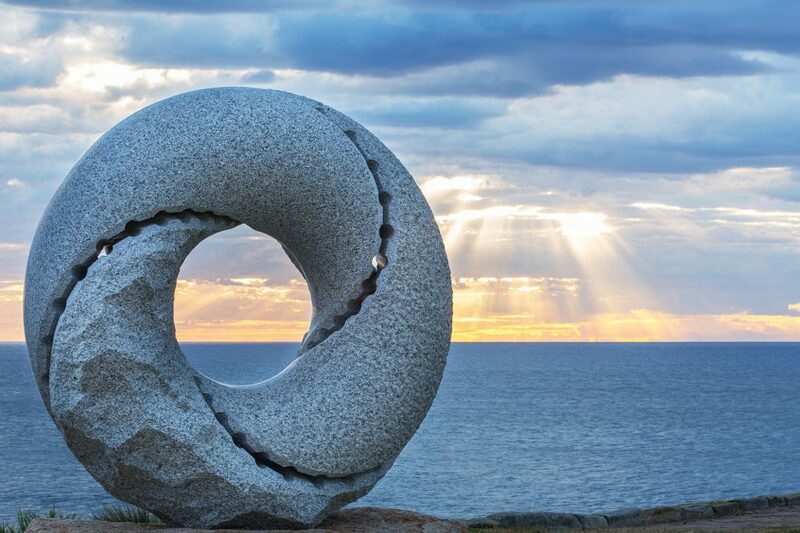 This year’s Sculpture by the Sea, Cottesloe marks Keizo’s 20th exhibition in Australia. I had the pleasure of meeting Keizo in 1999, when he first exhibited in Sculpture by the Sea, Bondi. Keizo walked up to me with his big smile, bowed deeply and expressed his excitement and enthusiasm for exhibiting with us. Little did he know just how excited and enthusiastic we were that he was doing so! Since then Keizo has been in every one of our exhibitions in various parts of Australia, playing a major role in their artistic and popular success. He has also learned that in Australia it is not necessary to bow! Whatever subtle and not so subtle cultural differences there may be between Japan and Australia, Keizo’s exquisite sculptures immediately reached out, ‘speaking’ an international language which intrigued and delighted Australians from the first moment they saw them. It is his ingenious combination of the mathematical concept of the Mobius strip, when carved from a single block of granite that captures the imagination. His sculptures are soft and beautiful, yet at the same time hard and impossible for most to understand how they were created. Since this time Keizo’s sculptures have made many people very happy. He has been voted the People’s Choice Prize winner in several of our exhibitions and his sculptures have been acquired by some of the most noted private sculpture collections in Australia, while the City of Perth’s acquisition is one of several in public collections across the country. When Keizo first exhibited in Australia Sculpture by the Sea, Bondi was in just its third year and we were a very small organisation, with very limited resources. Yet, despite his international reputation Keizo embraced our exhibition, seeing it’s potential, reveling in the large crowds and enjoying meeting artists from around the world. So he returned the next year and each year after that, winning over many fans. Over this time Keizo’s sculptures have evolved to explore different shapes and to use colour – something he was motivated to do by the stronger light he noticed in Australia when compared to Japan. Keizo’s enthusiasm for our exhibitions and his generous spirit led him to share the experience of exhibiting in Sculpture by the Sea with his close colleagues in Japan and each year since 2001 he has introduced new Japanese sculptors to the people visiting our Perth and Sydney exhibitions. The selflessness with which Keizo has adopted this role of facilitator has played a tremendous part in the growth and success of the Sculpture by the Sea exhibitions, so much so, that we call him our Ambassador to Japan. Talking of diplomatic relations, one of the happy coincidental connections between Keizo and Western Australia is that his home province, or Prefecture, Hyogo, has a sister State relationship with Western Australia. This led Keizo to work with the City of Asago in Hyogo and well known Perth sculptor Ron Gomboc to establish an artist exchange between Asago and Perth in 2008. Featuring a major exhibition of primarily WA sculptors at the Asago Sculpture Park as well as an artist in residence program that resulted in Ron Gomboc and Richie Kuhaupt from Perth working in Asago and artists from Hyogo, such Koichi Ogino, working at the Gomboc Gallery and Sculpture Park. 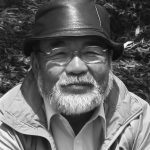 It is due to Keizo’s reputation as a sculptor both at home and internationally and his work promoting Japanese artists abroad that he was recently awarded the Hyogo Prefectural Culture Prize. This is a major honour and one not usually bestowed until much later in an artists life. From all of us at Sculpture by the Sea, we would like to thank Keizo for his sculpture, his smile, his support and his friendship. He is a man who has contributed a lot to the world.